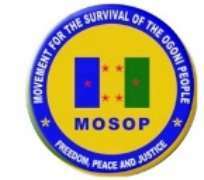 The Movement for the Ogoni People (MOSOP) has welcomed the exit of the minister for environment, Ibrahim Jubril, from the governing board of HYPREP describing it as good for Ogoni. Addressing Ogoni youths in Bori, headquarter of Khana local government area, yesterday, publicity secretary of MOSOP, Fegalo Nsuke, described HYPREP under Jubril as a failed project. Nsuke said with the way HYPREP is going, the Ogoni cleanup will be Nigeria's biggest scam. Management Center which should handle the massive wastes from the polluted sites and addressing the water crisis which has caused the death of thousands in Ogoni. Nsuke called on HYPREP to immediately commence the water projects and the construction of the Integrated Soil Management Center in Ogoni as recommended in the UNEP report rather than chasing the cleanup funds ahead of the 2019 elections.